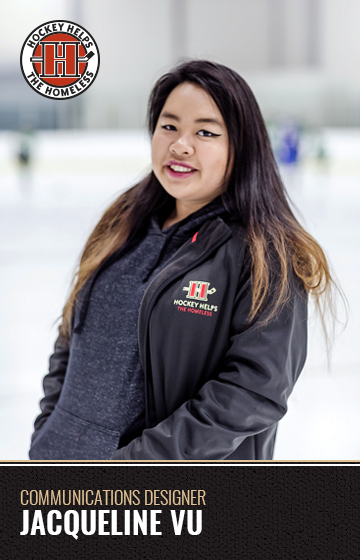 At Hockey Helps the Homeless (HHTH), we leverage Canada’s affinity for hockey to raise awareness and financial support for the homeless through education, fundraising, and by partnering with solutions-based local homeless support agencies. We believe that every Canadian should have a safe place to call home and the supports that they need to thrive. To ensure all homeless Canadians have a fighting chance, we host Pro-Am and Collegiate hockey tournaments across Canada where players fundraise to make a direct impact in their own community. For any previous Audited Financial Statements, please contact us at support@hhth.com. 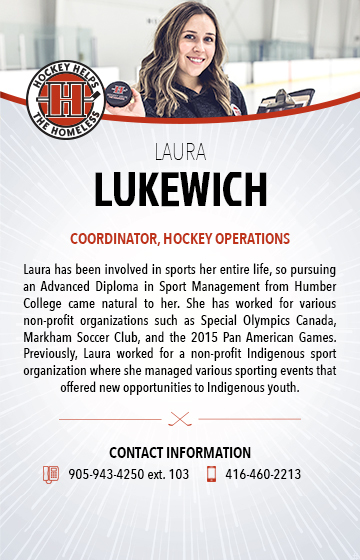 In 1996, Hockey Helps the Homeless (HHTH) was born from a simple idea – use hockey to help Toronto’s most needy. A group of Toronto businessmen used donated ice time at then Maple Leaf Gardens to host a charity hockey Tournament for friends and colleagues. The inaugural Tournament, then called Hockey for the Homeless would raise just over $8,000. In 1997, the founders would use the funds to create 300 survival kits. The men took to the streets to hand deliver the kits to Toronto’s most vulnerable. In 1999, Hall of Famer Mike Gartner, friends of one of the HHTH Founding Members suggested the Tournament be turned into a Pro-Am. Mike would later become Honorary Chair of Hockey Helps the Homeless. In 2004 the second HHTH Tournament was launched in Montreal, QC. Held annually at Sportplexe Pierrefonds, the Montreal Tournament continues today as one of the largest held across Canada. In 2008, HHTH expanded to Calgary, AB, Vancouver, BC and the Nation’s Capital, Ottawa, ON. The Vancouver Tournament is the largest in terms of number of teams, gross revenue and net to charity. In 2013, HHTH launched its second Tournament in Alberta and the Battle of Alberta raged on. Both Edmonton and the Bay St. Tournament share their inaugural year. In 2014, the OHL markets came to play. Tournaments in Kitchener-Waterloo, Barrie and London launched in 2014 as well as the first ever HHTH Collegiate Tournament at Queen’s University. In 2016, the Durham College Collegiate Tournament was launched in partnership with the Sport Management Program. It was also in 2016 that Hockey Helps the Homeless celebrated its 20th Anniversary and over $10,000,000 raised! 2018 will see the launch of a new tournament in Halifax, NS in support of VETS Canada in November. HHTH is now Coast to Coast across Canada! 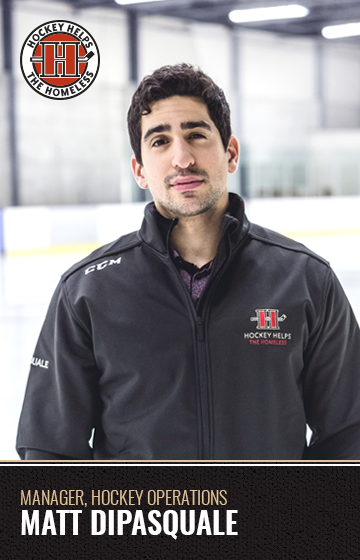 HHTH adds Tournaments in Mississauga, ON in support of Raising the Roof and Winnipeg, MB, home of our National Founding Sponsor, Great-West Life. Ted has extensive marketing experience in with various Fortune 100 organizations including Kellogg's, Frito-Lay, Wrigley’s and Rogers Cable. 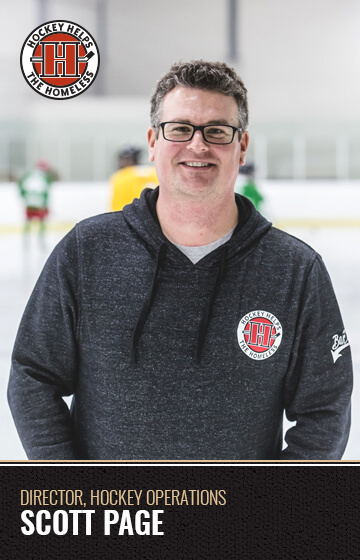 Ted is the president of Flow Marketing – a boutique firm servicing Canadian corporations in the area of sports and entertainment sponsorship, promotion and event marketing. Flow Marketing clients include Cadbury, Energizer, Scotts and Running Room. 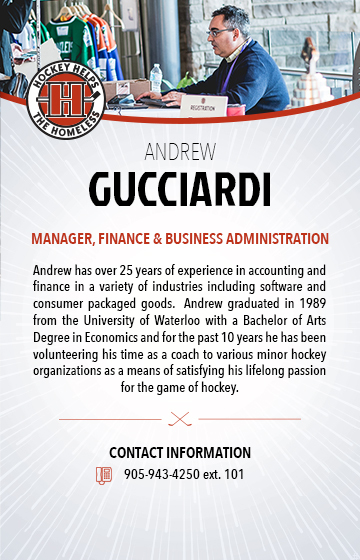 Ted joined Hockey Helps the Homeless in 2007, where he lends his significant energies, enthusiasm and marketing expertise to the cause. Dana is a partner at Smiths IP, a boutique intellectual property law firm in Vancouver, where she practices in all aspects of IP law, with a special interest in sports-related patents and trademarks. She was born in Edmonton and grew up in Winnipeg, before returning to Alberta to obtain her metallurgical engineering and law degrees from the University of Alberta. 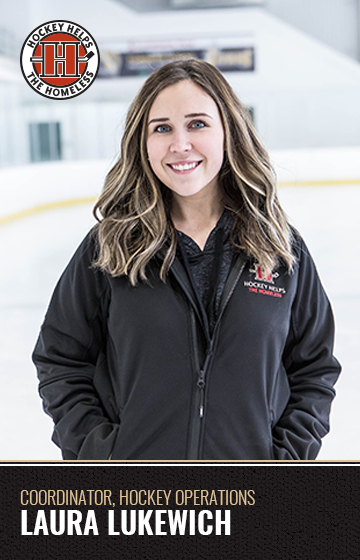 She plays hockey, dragonboats, does yoga and watches pretty much every sport either live or on television with her husband John. 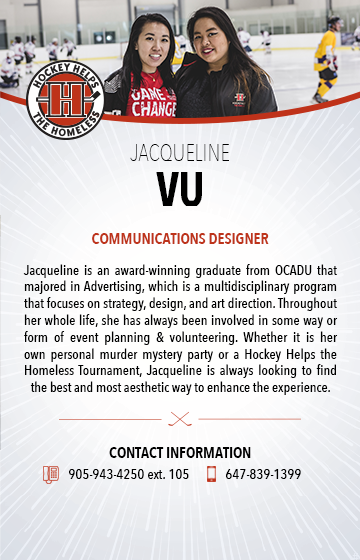 She has been involved with Hockey Helps the Homeless since 2012. Gianni has over 20 years of experience in the financial services industry. 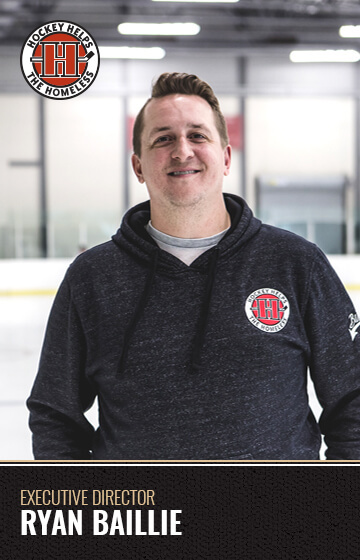 He joined Hockey Helps the Homeless in 2010, and, is also the co-founder of the Cure Scleroderma Foundation, in conjunction with his spouse and the Montreal Jewish General Hospital. 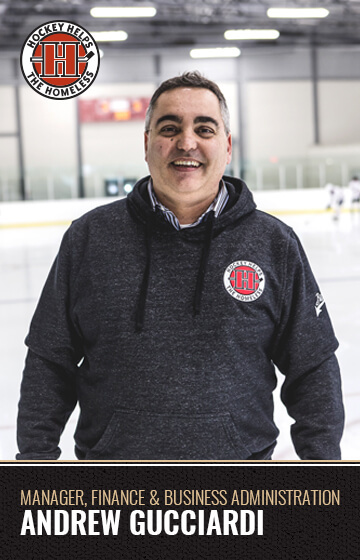 He has been very involved in his local community, and recently held a 3 year mandate as President of Hockey Saint-Laurent/Versant Ouest. 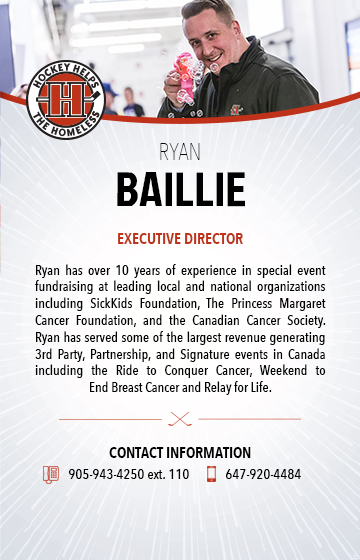 With the support of 125 volunteers, he helped oversee the development of over 1000 young Minor Hockey players. Gianni founded La Ligue de Balle Molle des Camarades de St-Leonard, in 1991, a 10 Team Softball League. For their involvement in the community, the Crivello family was awarded 'Family of the year' for Ville Saint-Laurent Qc. in 2006. 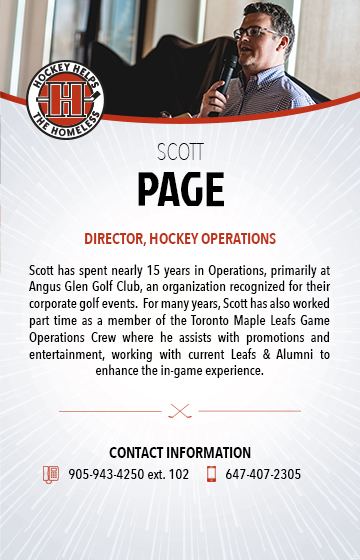 John was one of the founding organizers of the HHTH Calgary tournament. 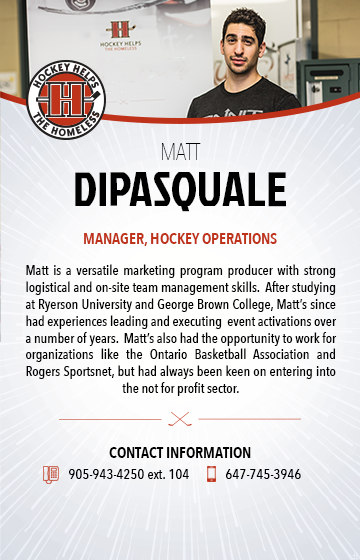 He currently runs Punting Limited, a privately held investment firm in Calgary. John has an MBA from Northwestern and brings strong finance acumen to the HHTH board. John lives in Calgary with his wife Dina and his 2 boys, Michael and Jack. Richard has many years of professional experience in both public and private sector, including the Canada Revenue Agency. He is currently the Director of Tax for Canada with The Nielsen Company and has also served in management positions with corporations such as Kraft Foods and Cadbury. Richard is a Chartered Accountant and holds a Bachelor of Commerce degree from the University of Toronto. Richard enjoys spending time with his wife, Rachel, and two children. He also enjoys giving back to the community by volunteering his time and resources through sports and other activities. Zev has held senior level HR positions in the banking and insurance industries and currently works at Magna International. In addition to his day job, Zev is the Chief Operating Officer for Cook’s Bay Dental, his wife’s dental office in Keswick, Ontario. Equipped with an undergraduate degree in Economics and an MBA from the Ivey Business School, Zev brings strong business and financial acumen to the board. He is excited to combine his love of numbers, hockey and community service. In his free time Zev enjoys spending time with his wife, son and daughter and playing recreational hockey, albeit poorly.